Margaret Lucille Prosser Hollingsworth, age 97, resident of Arlington, Tennessee and wife of the late Hugh Hollingsworth, departed this life Friday morning, November 9, 2018 at her residence. A Funeral Service for Mrs. Hollingsworth was held at 12 Noon Tuesday, November 13, 2018 at the Peebles West Funeral Chapel at Oakland. Interment followed in the Macedonia Cemetery at Arlington. Arrangements were provided by Peebles Fayette County Funeral Homes & Cremation Center – West Chapel at Oakland. 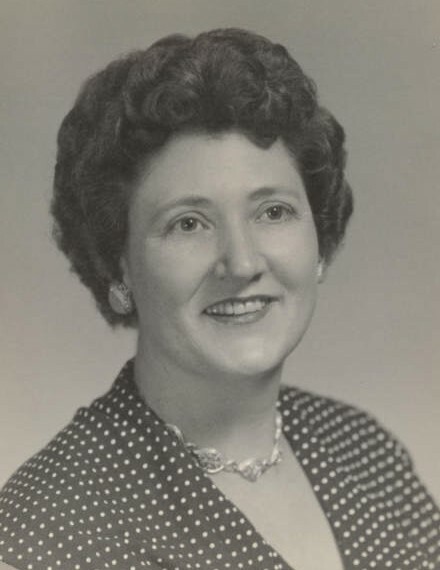 Mrs. Hollingsworth was born July 5, 1921 in Shelby County, Tennessee. She received her education in Arlington, Tennessee and was married February 10, 1972 to Hugh Hollingsworth. She was a member of the Eads Baptist Church and was employed at the Arlington Developmental Center for 13 years before her retirement in 1986. Mrs. Hollingsworth loved cooking and special times with her family members and friends. She enjoyed telling jokes, taking trips to Pickwick Lake and sitting under the carport drinking Diet Coke and eating Moon Pies. Mrs. Hollingsworth is survived by her two grandchildren, Steven Holden of Bartlett, Tennessee, Summer Lantrip and her husband, Nathan, of Arlington, Tennessee; and two great-grandchildren, Cody Lantrip and Maci Lantrip. She was preceded in death by her husband, Hugh Hollingsworth who died May 29, 1991; her daughter, Margaret Almeda Woods; her son, Robert Dupree Holden; her parents, Timothy Jefferson Prosser and Lottie Stafford Prosser; five sisters, Tamsy, Jennie Lynn, Mary, Gracy, Zettie Mae; and four brothers, John, Tillie, Eddie Lee and Clarence. Those honored to serve as pallbearers were Bubba Prosser, Dennis Stice, Cody Lantrip, Nathan Lantrip, Eric Powell, Russell Wiseman and Billy Henrikson.